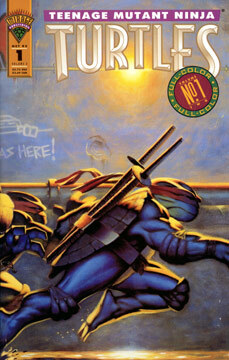 Splinter has a violent dream and he takes Donatello to a shrine where they can meditate. While there, Donatello sees a vision of the future. Casey dreams of his monstrous alter ego. April dreams she’s being chased and captured by Baxter Stockman. Raphael dreams about battling a giant rat.